McDonald’s UK today announced the results of one of the largest ever independent carbon studies carried out with UK and Irish beef farms, based on over 1300 carbon assessments. Launched by McDonald’s UK Supply Chain Director Connor McVeigh at the 2016 NFU conference, the report identifies simple measures that can help beef farmers achieve the 11% voluntary carbon reduction target set by UK government for 2020. Funded by McDonald’s UK as part of its Farm Forward programme and conducted by environmental consultants Alltech E-CO2, the independent study reveals that on average beef farmers in the study have reduced their carbon footprint by 4.6% a year by making small day to day changes to the way they run their businesses – more than four times the current industry benchmark of 0.94%. Farmers who participated in the study reduced their carbon footprint by nearly a quarter (23%) over six years and identified annual cost savings of up to £23,000. • Measure and monitor your farm operation to track performance – From feed use per animal to fertiliser usage and sales weight, data trends can help to track progress and identify areas for improvement. • Benchmark performance against others in your sector – Benchmarking against others can help farmers to review their operations, identify which parts of their enterprise they could adjust to improve efficiency, and set targets. • Focus on daily live weight gain to reduce emissions – On a typical beef farm the majority of carbon emissions come from the animals. Daily live weight gain is important because the shorter the time the cattle are on the farm the less carbon is produced. • Monitor and improve animal health – Closer monitoring of animal health not only safeguards the welfare of the herd, it also reduces calf mortality and leads to increased farm productivity to offset the carbon emissions of the enterprise. • Maximise homegrown forage – Direct emissions from feed production represent a high proportion of farm carbon emissions. 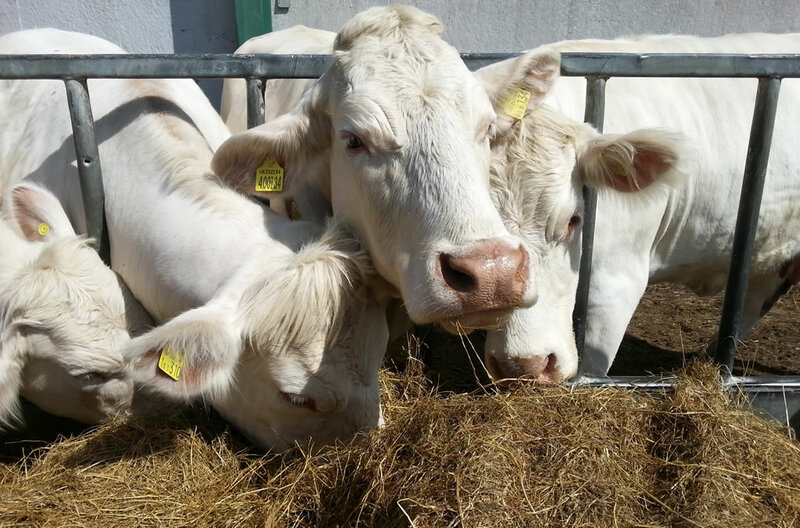 By using home-grown forage farms have the opportunity to increase their feed conversion efficiency. • Reduce calving interval – Farmers should breed for fertility in suckler herds, ensure close heat management and look to achieve the optimum age at first calving to reduce total methane emissions during the heifer rearing phase. Connor McVeigh, Supply Chain Director, McDonald’s UK commented: “Carbon reduction targets have been in place for some time and we know farmers are under growing pressure to meet them. The question has been what practical steps can we as an industry take to drive these improvements? This report is just the latest step in McDonald’s commitment to a sustainable future for British and Irish farmers. Since 2008 McDonald’s UK has invested over £1million to help beef farmers run more efficient and environmentally-friendly farm businesses, including the launch of the ‘What If?’ tool in 2013. McDonald’s has also introduced Sustainable Beef Clubs, free sessions on farm at which beef farmers from across the UK and Ireland are invited to share their knowledge and experiences and gain access to expert consultancy and the latest research.